Search, social, PPC — that’s all old hat. The most effective digital marketing channel today is also the oldest: email marketing. Marketers consistently rank email marketing as one of highest ROI marketing channels. 52% of retail businesses say that the ROI from email is good or excellent. Little wonder that 58% of marketers plan to increase spending on email marketing in 2017. 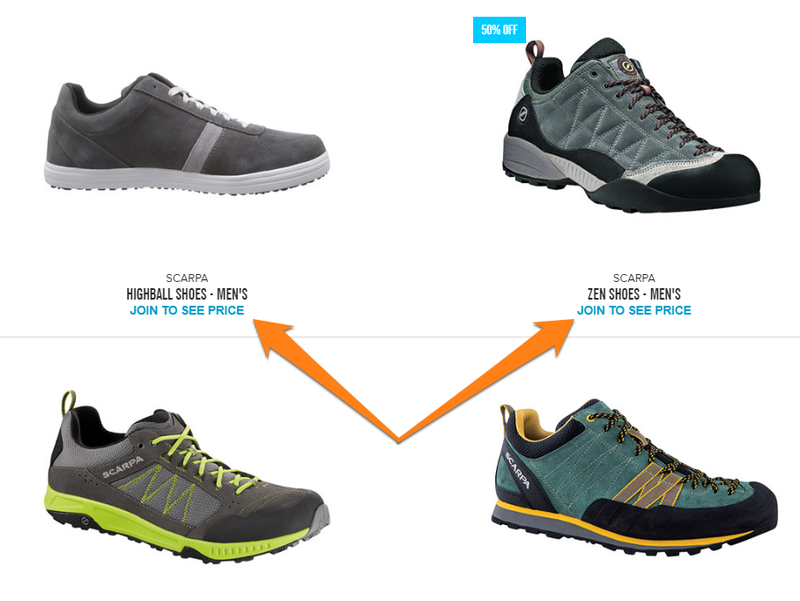 For online retailers, building email lists has clear benefits. For one, sending the newsletter gives you access to your customers’ most private communication channel — their inbox. It is also cheaper than most channels. Once you’ve acquired a subscriber, you can send them emails for pennies. To run an email marketing campaign, you first need to capture emails. The rate at which you can convert visitors into subscribers will have a big impact on the success of your email campaigns. 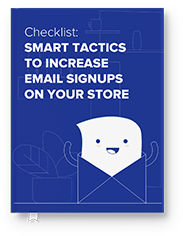 In this article, we’ll share actionable examples of how to build an email list and get maximum email subscribers for your store. Offering daily deals is a powerful tactic to get people to return to your site regularly. Customers enjoy the thrill of discovering a new product at a heavily discounted rate. 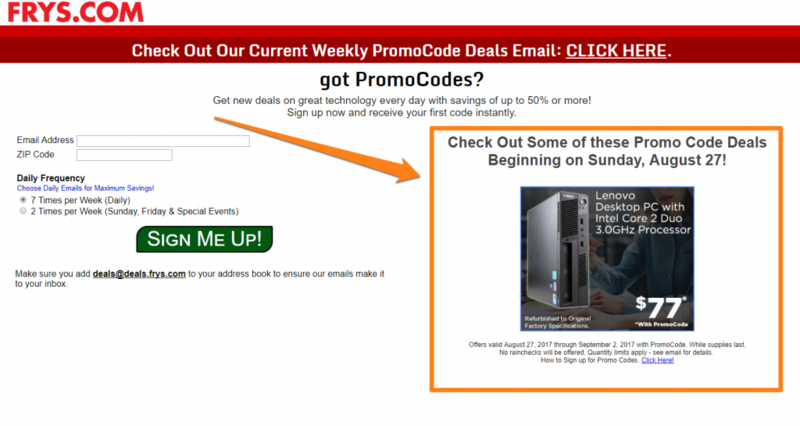 Instead of showing these deals on your site, you can push them via email. This gives customers an incentive to sign-up for your email list. 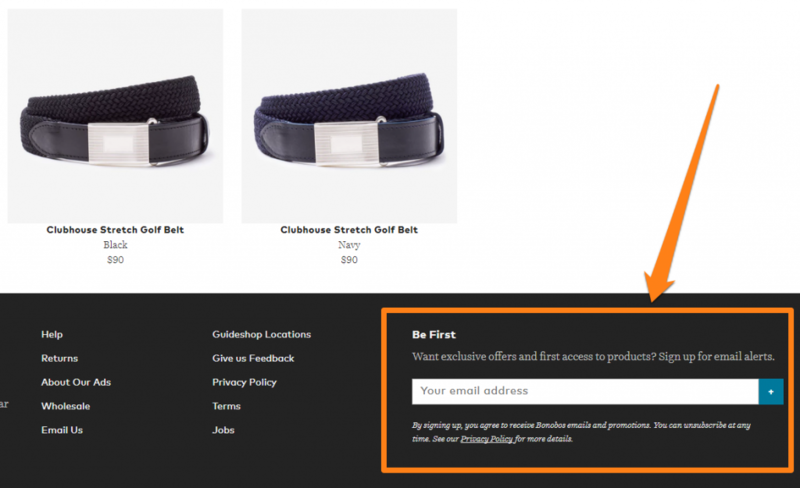 You can even do a hybrid model where you offer exclusive deals to email subscribers and push the rest to your website. 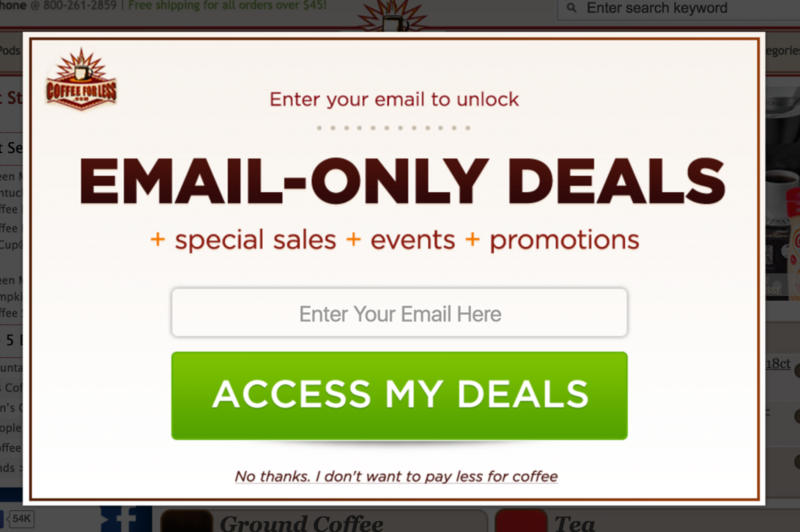 Or you could give email subscribers early access to a deal. The idea is to give email subscribers a tangible benefit for subscribing. If you consistently promote high-quality deals via email, you can even get additional subscribers for your email list from people recommending deals to their friends. The perfect example of this tactic is the plethora of flash sales sites that popped up a few years ago. These sites, such as Gilt.com, BeyondTheRack.com, etc. would offer deals only to email subscribers. At its heart, email marketing depends on a mutually beneficial exchange: you give something valuable to visitors, visitors give you emails in return. How likely people are to give their email addresses will depend on the value — real or perceived — of your offer. 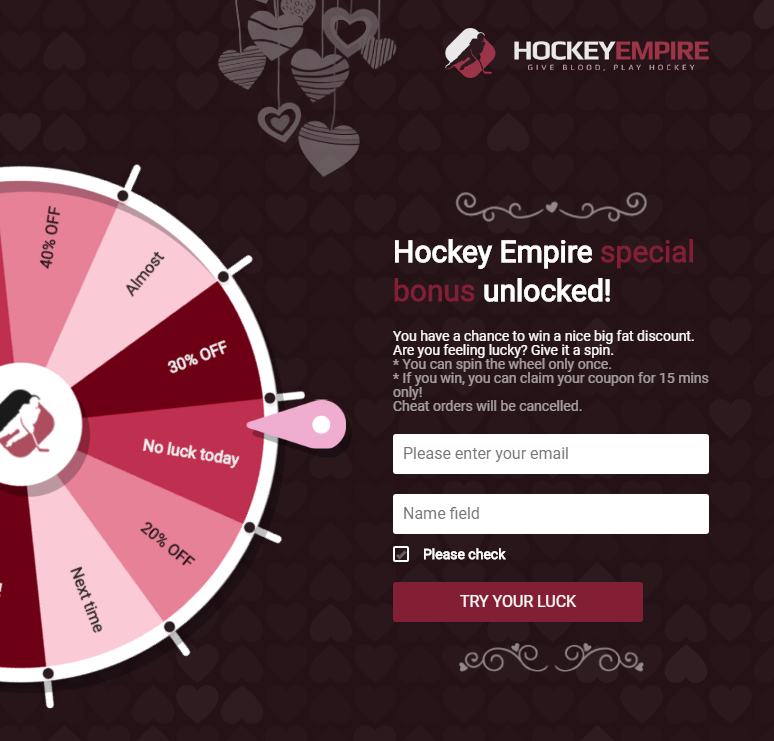 As it turns out, offering prizes is an easy way to entice people to share their emails. Since prizes have a tangible benefit, your customers are likely to value them highly. You can offer products, discounts and coupon codes as prizes. As long as customers perceive them to be valuable, you’ll do well. You can use apps like Coupon Popup to create such offers. 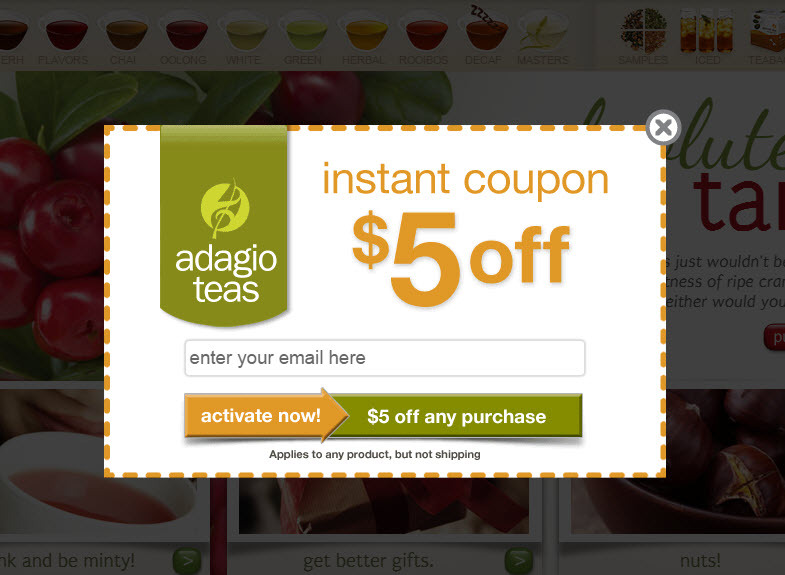 For fancy interactive popups, like the one shown above, use Assistantly Wheel. The interactivity can help increase conversions and generate new subscribers in your email list. Sweepstakes, where you choose winners at random from a list of participants. Contests, where you pick participants based on some merit. Businesses often use the terms interchangeably (“contest” is far more popular) but legally, there is a clear distinction between them. Some sweepstakes might have to abide by state laws and FTC regulations. Offer a prize, such as a product or a big discount coupon. Ask each participant to share his email to enter the giveaway. For even better results, give participants some incentive to share the giveaway with their friends (such as offering a higher chance of winning if they refer more people). Data gathered by Privy shows that enter to win forms (i.e. contest forms) have a substantially higher conversion rate than conventional forms. 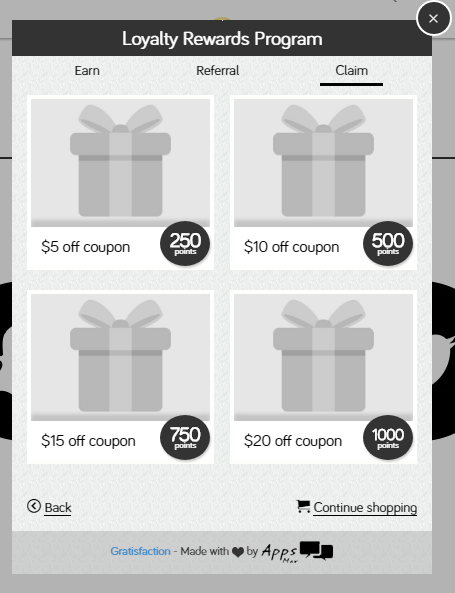 The Sweepstakes app in the Ecwid store is a great tool for quickly creating giveaways. A lot of e-commerce stores run their own newsletters. More often than not, the sign-up link to the newsletter remains ignored in some forgotten corner of the website. While some people might sign-up for your newsletter because they’re genuinely interested in the content, a majority care only for the deals. 60% of respondents in a survey said that offers and discounts were their number one reason for subscribing to newsletters. Therefore, focus on discounts in your newsletter subscription pop-ups to get more signups. You can offer a flat dollar amount off, exclusive deals or free shipping coupon codes. How much discounts/coupons you offer will depend on the lifetime value of each new subscription. If you can make $20 in profit from each subscriber, giving away $5 to get a sign-up is worth it. MailChimp email capture popup, for MailChimp customers. Email Popup, for other email services (including MailChimp). 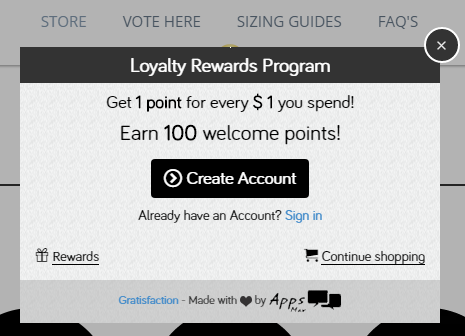 Loyalty programs are powerful tools to lure customers back to your site. Usually, loyalty programs offer customers some rewards or points for each action they perform on your site. Spending $100 might earn the customer 10 points. Referring a friend might earn 2 points. Signing up for a newsletter gets them 1 point, etc. The kicker, of course, is that you have to create an account to get these rewards. This way, you can get a new user and email. Loyalty programs are particularly effective for promoting repeat purchases and getting users to follow you on social media. If a customer is at 200 points and can get a reward at 250 points, it gives him an incentive to come back. 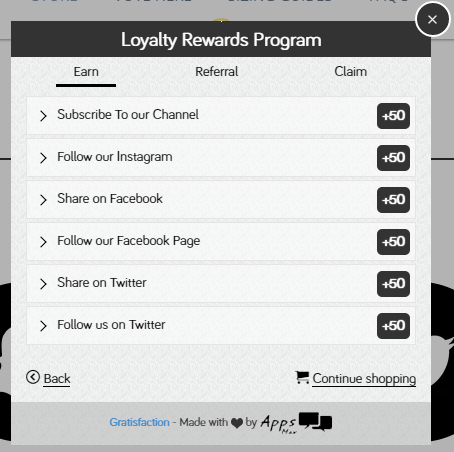 Use the Loyal2 app to create loyalty programs for your Ecwid store. One of the bigger mistakes you can make with email marketing is to use just a single sign-up form on your site. No matter how well you’ve optimized your site, a single sign-up form will get overlooked and ignored by your users. Doing all of these, of course, would be overkill. But at the very least, you should have 2-3 sign-up forms on your site. Keep in mind that adding too many sign-up forms can confuse visitors. There’s a just right number and placement for sign-up forms. You’ll have to test out different variations and know for yourself. For Ecwid users, Privy and Exit Offer are two powerful tools for creating sign-up forms. You can also use MailChimp.smart to create email sign-up forms at checkout. A marginal increase in your sign-up form conversion rate can lead to substantial long-term gains. A 0.5% increase in conversion rate translates to 3,000 additional subscribers with a monthly traffic of 50,000 visitors. For LeadPages, breaking down the sign-up process into two steps increased subscriptions by 60%. Optimizing sign-up forms is a broad topic that deserves a separate blog post. For starters, read this article to get a basic understanding of what makes a successful opt-in form. Then create some form variations and use A/B testing to find out what works, what doesn’t. However, unless you are experienced with conversion rate optimization, we recommend using the default designs. These are usually battle-tested and will at least yield an average, if not exceptional, conversion rate. In our own tests, we found that the standard designs included in Sumo (our lead capture tool on this blog) outperformed tested variations. Facebook and Twitter are two underlooked but powerful ways to increase your sign-ups. 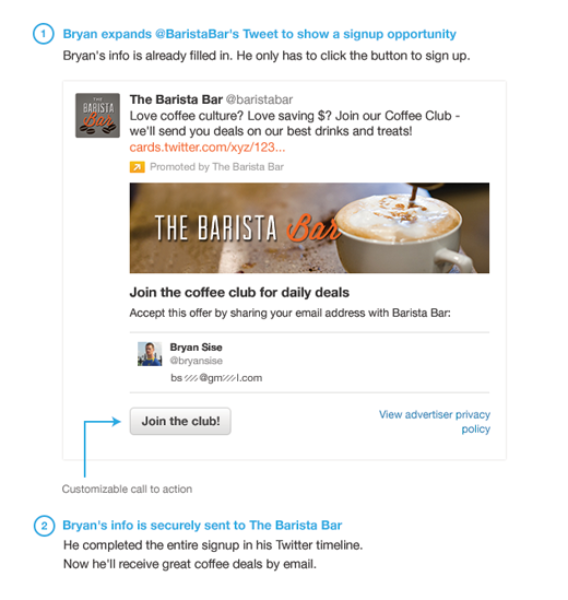 Twitter offers lead generation cards to capture emails from interested users as they scroll your feed. This explanatory image from Twitter shows how these cards can be used in an e-commerce setting. 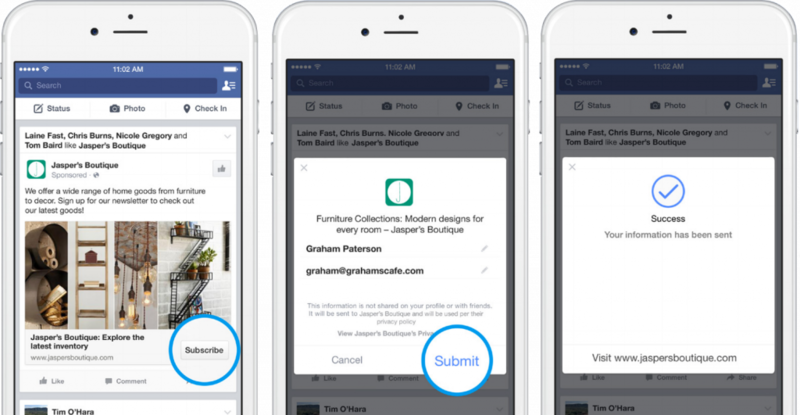 Facebook’s email capture solution — Facebook lead ads — is even more powerful. It gives you an opportunity to grab emails right from within Facebook itself. Since Facebook pre-populates all fields with the user’s name and email, lead ads have a high conversion rate. If you have a strong presence on either Facebook or Twitter, consider this tactic to increase email signups. Conventional sign-up forms don’t give visitors enough information about your emails. They don’t know what the email will contain and its value proposition. Given that 50% of emails in an average inbox are newsletters, your visitors are right in asking: why should they subscribe to you? One way to underscore your newsletter’s value is to direct visitors to a dedicated landing page. 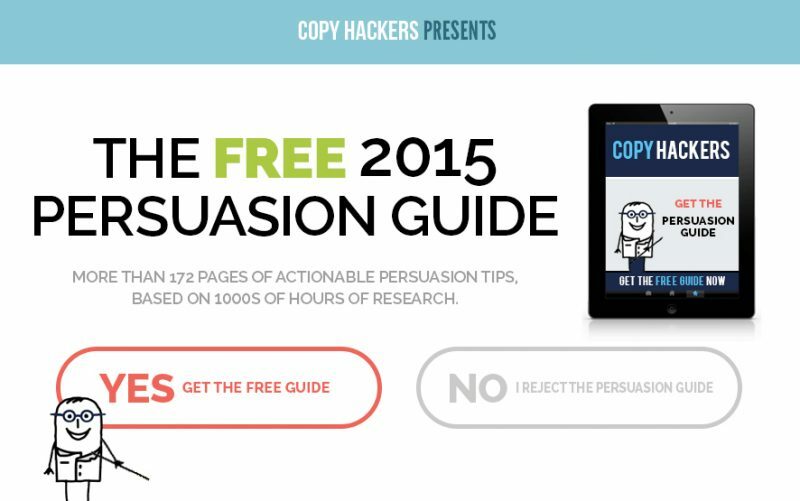 This landing page can sell your newsletter to visitors, giving them an incentive to sign-up. This is a common tactic in B2B markets, though it is equally helpful for retailers. A dedicated landing page gives you an opportunity to give visitors a preview of your content. Urgency and scarcity are powerful tactics for motivating action. As Dr. Cialdini points out in Influence: The Psychology of Persuasion, the more scarce a person or thing is, the more value it has in our minds. You can use this in your email marketing campaign by offering discounts or deals over email for a limited time (time-based scarcity) or limited quantity (quantity-based scarcity). For example, Tradlands has a full-screen welcome mat offering a discount. The catch? There is a countdown timer showing that the offer is only available for a couple of minutes. This compels action by forcing visitors to take action immediately. If they delay the action, they stand to lose the deal. Ecwid customers can use the Timer Plus and Countdown Timer apps to create such time-limited scarcity. Email marketing is one of the most effective channels for e-commerce stores. Getting more email sign-ups, however, can be a challenge. By following a few simple tactics shared above, you’ll see a drastic improvement in your email sign-up rate. 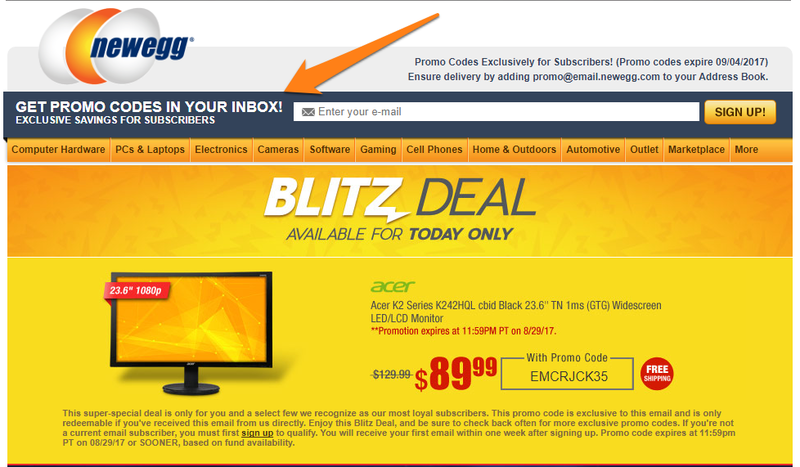 Offering incentives such as daily deals, coupons and offers over email gets people interested. 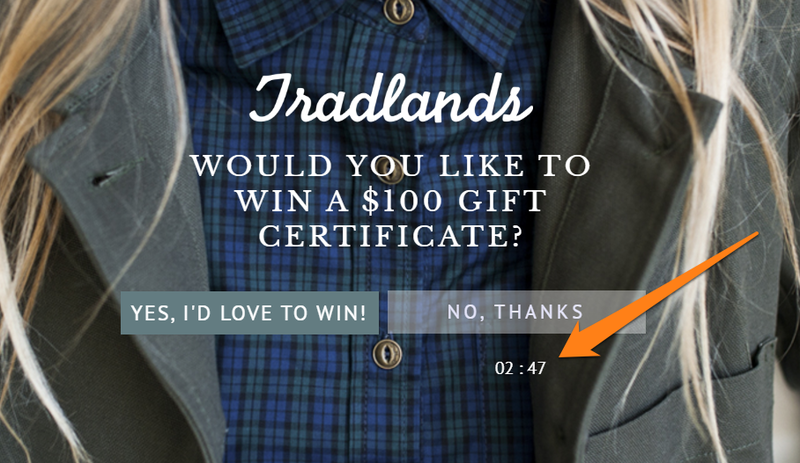 Using urgency, contests and giveaways pushes them to sign-up. Try some of these tactics in your store to see an immediate boost in total email subscribers. Use the aforementioned apps to help you create these promotions.